You heard the Australians. 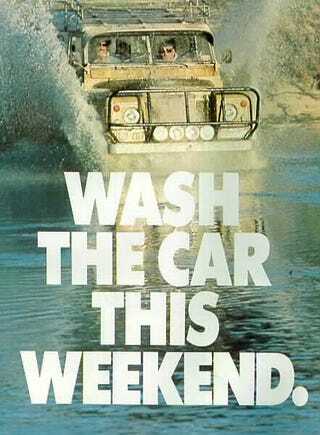 Get out there and wash your car this weekend. Anyone who said you can’t have a little fun doing it is a dang liar. Pro Tip: This may not work as well if you own, say, a precious little Mazda 2 instead of a Land Rover. But who’s gonna stop you from trying?